Pakistan Prime Minister Nawaz Sharif, on Friday, resigned from his post, his office said, hours after the country’s Supreme Court disqualified him over corruption claims against his family. 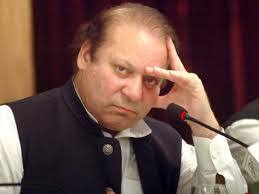 The Supreme Court said Sharif was not fit to hold office and ordered a criminal investigation into him and his family. The court also disqualified Finance Minister Ishaq Dar. Pakistan’s top court disqualified Sharif from office after a damning corruption probe into his family wealth, cutting short his third stint in power and ordering a criminal investigation of his family. In a surprise move, the court also dismissed Finance Minister Ishaq Dar, one of Sharif’s closest allies who has been credited with steering the economy to its fastest pace of growth in a decade. “He is no more eligible to be an honest member of the parliament, and he ceases to be holding the office of prime minister,” Judge Ejaz Khan said in court.